Finally, the wait is over! the most awaited Sana Safinaz Luxury Collection 2017 has been launched on Friday, 9th June. It is superb arrival they will stun you on this festive occasion. The brand and team has special sense of art work and designing, they know it very well which embroidery will be played best on which fabric. They always have amazing collection of varieties, shades and color combinations. The aim of this brand is to provide their customers comfort as well as latest trendy outfits. With the change in season, they explore their seasonal collection in market in vast number of articles. As they have produced in this season Sana Safinaz Muzlin Collection Volume 1 and 2. After high grabbing of this series, they have now launched Luxury Eid Series. Sana Safinaz this assortment will be great relief for those ladies who are brand lovers and love to wear outfits by this name. Having a such fabulous clothing line for upcoming holy festive must be opportunity for them. Some women love to visit markets, to have best piece for them. But those who have no time to visit shopping malls and outlets, visit website and place orders online. This luxury assortment artistic floral work with charm of embroidered work. Pearls, stones, thread work is added on this fabric. In this series, soft and pastel shades like peach, off-white, mint, black, pink etc are used. All this assortment is best amalgamation of modern and cultural styles. So this is an awesome combo of latest trendy fashion wear and culture. Heavy embroidered work is done on shirt neckline, borders and sleeves. While bottoms are adorned with matching motifs, tissue patches. Duppatas are just like stars twinkling in sky. On net fabric beautiful pearls are used. 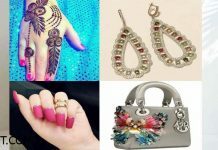 Price range of this assortment is PKR RS. 12,500 to PKR RS. 14,500. 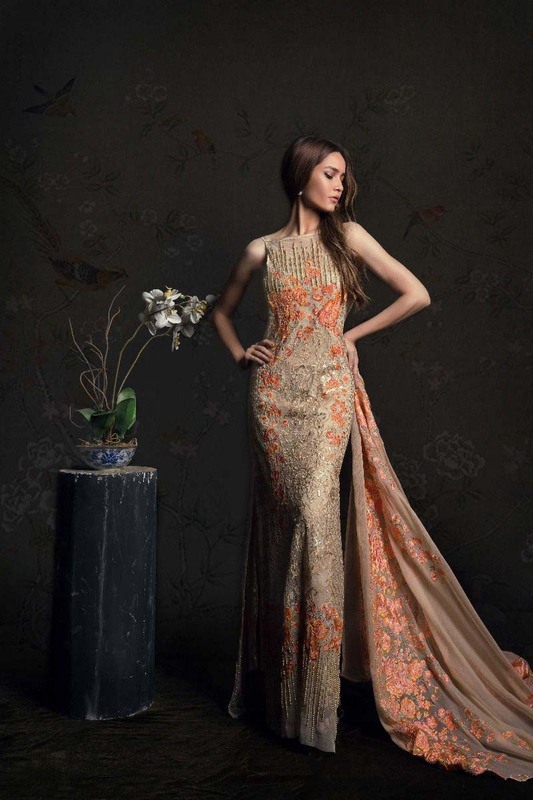 This Sana Safinaz Luxury Embroidered Collection comprise of 12 articles, which are showcased below. Sana Safinaz Most awaited Luxury Formal Eid Collection has been launched and now available at all outlets. This collection is enriched with delicate embroidery.